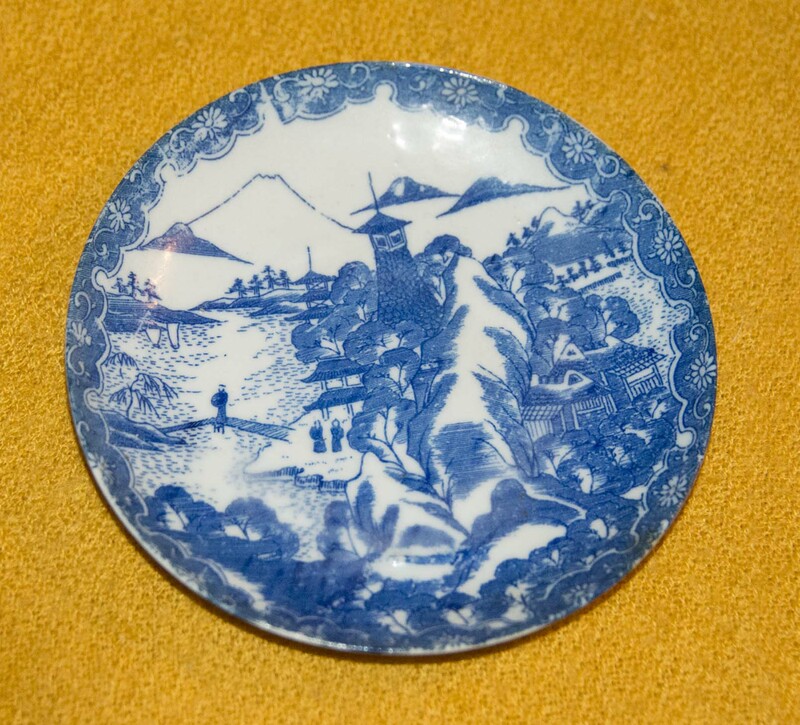 This small (just over 4 inches diameter) Japanese saucers is very bright and the surface is slightly 'bumpy'. There is a degree of ware to the edge, but otherwise undamaged. The brown mark on the back is not damage...simply a different colour or stain! I suspect this is a transfer. 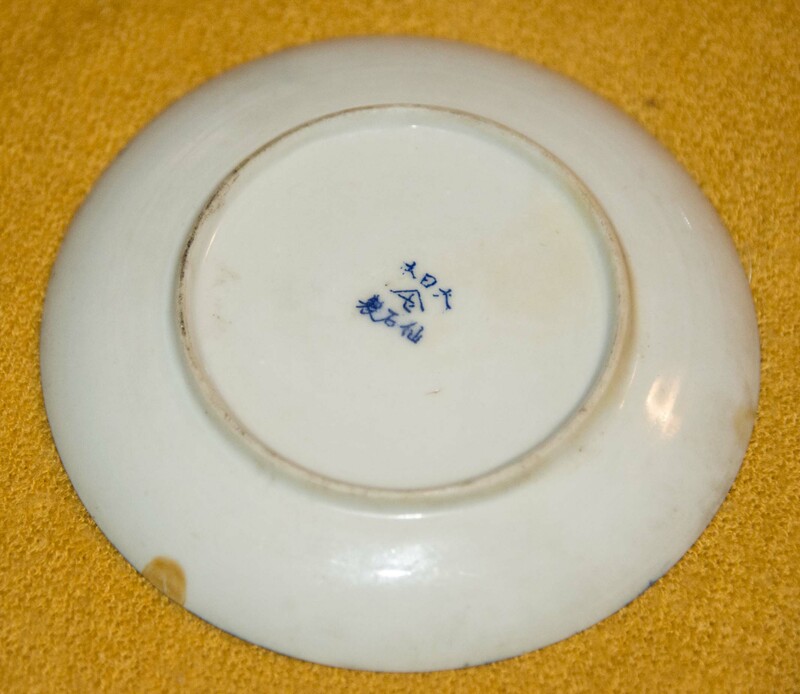 Can somebody please help with the writing on the back of this saucer so that I can identify (hopefully) maker and date? I could not find any identification online. Thank you for your help I.Nagy, your knowledge is very much appreciated.